Glashütte Original has released details of a new timepiece that will be shown at Baselworld 2016. At Deployant we love blue dials and this one will definitely catch the eye of passers by! 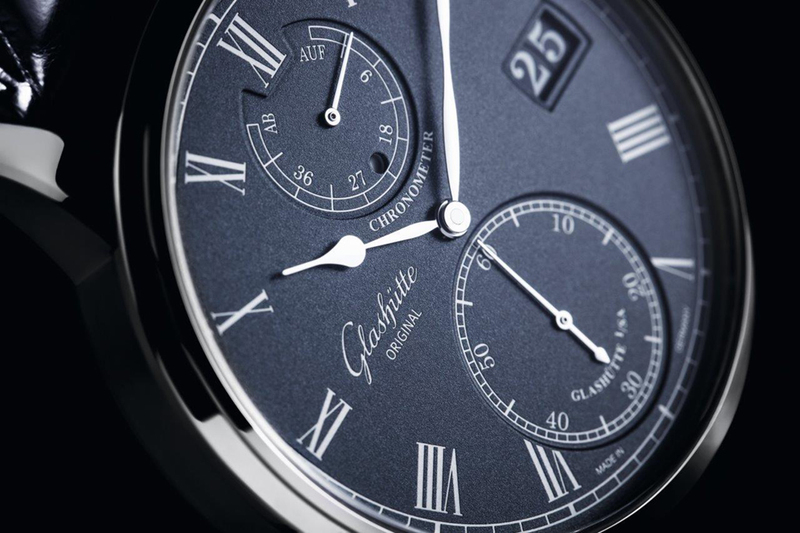 Introducing the new Glashütte Original Senator Chronometer with blue dial. The dial is inspired by the famous marine chronometers of the past with a modern interpretation. In 2016 the Senator Chronometer appears in a newly designed white gold case with the Senator line’s characteristic slim bezel. This ensures a full view but makes it easier to read the different displays: the small seconds at 6 o’clock, for example, or the power reserve display at 12 o’clock. 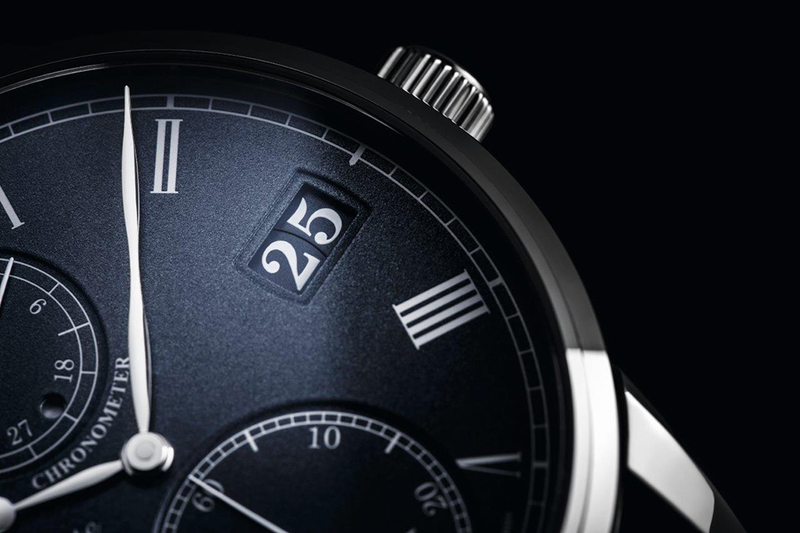 The new chronometer’s deep blue dial gets your attention. The dark tone quietly emphasises the finely grained and lacquered surface and lends it a velvety texture. The dial is made in the firm’s own dial manufactory in Pforzheim. The lacquered dial with a grained texture contrasts the silver Roman numerals on the dial. The Senator Chronometer also presents the Glashütte Original Panorama Date at 3 o’clock with matching colour discs, along with a separate day-night display that simplifies setting of the date and is positioned in a round opening above the centre: from 6 in the morning until 6 in the evening the small circle appears in white, from 6 in the evening on, in black. 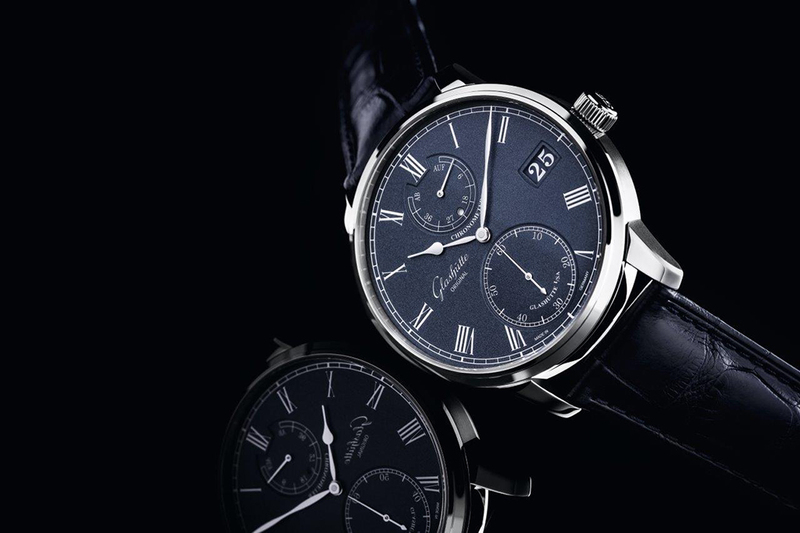 A midnight blue Louisiana alligator leather strap with a white gold foldover clasp complements the case and dial. The signature Panorama Date at 3 o’clock. 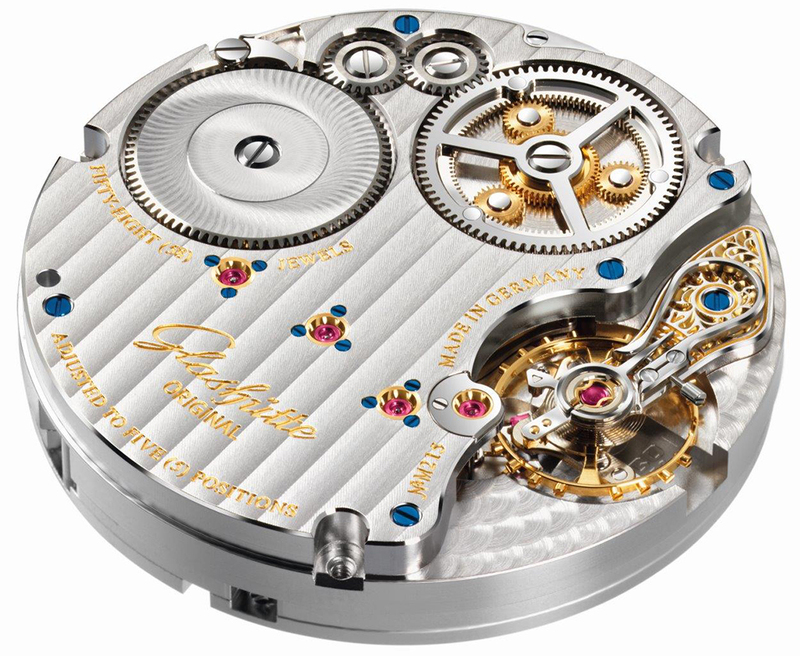 The functions are driven by the manual winding Calibre 58-01. Among its features is a refined second-stop mechanism: when the crown is pulled out, the time display stops and the seconds hand is reset to zero and held there; simultaneously the minute hand jumps ahead to the next full minute index. As the crown is turned to set the time, the hand always jumps to the next minute index – thus ensuring that the correct relationship between seconds and minutes is maintained. A sapphire crystal case back allows the wearer to admire the movement. A good looking watch enhanced further by the new blue dial!